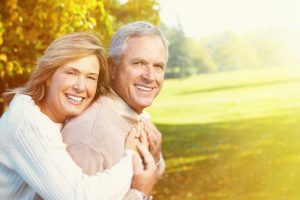 When you are of a certain age, or when you have mobility issues, even simple activities such as getting up from your favorite chair or couch can be challenging. Fortunately, we live in a day and age where every issue is addressed. That is why Able Life Able Tray came into existence. Click here to check prices. What is Able Life Able Tray? The Able Life Able Tray is great for getting up. Click here to check prices. Able Life Able Tray is a device that you can position on the side of your couch or favorite chair. No matter your circumstance, it will give you the much-needed support when you want to get up or, why not, sit down. What holds even greater value is that the Able Life Able Tray comes with a swivel tray you can use according to yo your needs. You can eat on it, place your laptop on it to surf the internet, or simply rest your hands on it. In fewer words, the Able Life Able Tray is a glorified swivel tray table that will make your life a little bit easier. Able Life Able Tray is a very simple device that doesn’t require much understanding. All you have to do is install it by the side of your couch, chair, or recliner. Install is a strong word, as it doesn’t require any tools or skills. You just have to place the legs of the swivel tray table under the legs of your couch, chair or recliner. That way, the weight of the furniture will hold the device in place. You don’t have to worry that it will not be securely attached to the ground. Once it’s safely positioned, you can easily use the handle to help you get up or sit down. Use it with confidence. It will give you the support you need without failing. Stay safe with the Able Life Able Tray. The Able Tray is a patented invention that comes along with a variety of great features and benefits. All of them are meant to satisfy your needs while fulfilling the purpose for which it was created. It’s completely adjustable. The manufacturer wanted the Able Tray to fit everyone’s home furniture so everything from the height and length of the device to the height of the tray can be adjusted to your needs. The height of the handle can be adjusted from 34 to 40 inches, the base length from 20 to 36 inches, and the height of the tray from 26 to 32 i Not all couches are the same size, right? So why would the swivel tray table come in one size? It wouldn’t make sense, would it? The safety handle has an ergonomic design. That will provide excellent balance and the support you need when you want to sit down, as well as when you want to get up. The swivel tray pivots 360º. A swivel tray table is always useful beside your couch no matter the situation, but if you have mobility issues, it comes in handy even more so. You can use it to eat on it, to place your laptop, or you can even use it as a place where to rest your hands. When you don’t need it anymore, you can simply push it away. Your floors are safe from damage. Everything from tables and chairs to big pieces of furniture has those little rubber pads that protect the furniture from dents and scratches. Able Life Able Tray makes no exception. The rubber pads will protect your floors from damage while providing grip and stability at the same time. Incredibly simple installation. Unlike other devices, the swivel tray table from Able Life comes with simple installation instructions. You don’t need any tools, which makes the assembly very easy and fast. All you have to do is insert the handle in the base of the device and attach the tray to the handle. Then just place the device under the legs of your couch or recliner and you are done. Simple, right? Just like every other product, Able Life Able Tray comes with a series of pros and cons. While this is a great product, it’s not perfect. It provides incredible People who have issues with getting up or sitting down know how difficult is the transition between the two positions. This swivel tray table handles the situation perfectly providing just the right amount of support. Carrying around a TV tray is a thing of the past. You will have one installed at all times. All you have to do is pull it towards you when you need it. No more warm lap from holding the laptop. It’s not suitable for the device and is very uncomfortable for you. The swivel tray table solves this problem. You can place the laptop on it. Not to mention that you don’t have to put it down every time you need to get up. Just push it away on your side. It fits most couches, sitting chairs and recliners. The adjustable features make it very adaptable. No matter what you prefer, the Able Life Able Tray will fit. Also, you can move it from one piece of furniture to another. It may make you chair uneven. Couches and recliners that do not have adjustable legs will be slightly taller on the side where the swivel tray table is positioned. It’s not a big deal, but if you pay attention to details, you will notice. Placing the Able Tray under certain recliners can be hard. They may come with metal rails, not legs, which makes putting the rubber pads a bit difficult. You may have to place something under the opposite rail to even the chair. Overall, the Able Life Able Tray is a fantastic product. 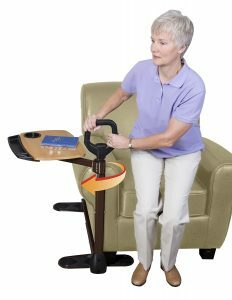 It may be a simple device, but it provides great support for those who find it difficult to get up or sit down. It is highly recommended for older people who have mobility issues, or even for individuals who suffered an accident and are still recovering. Either way, this swivel tray table will make life easier for anyone who needs it. Click here to buy the Able Tray on Amazon. We rate the Able Life Able tray 4.5 out of 5 stars.